For starters, skylights must be installed correctly if you’re planning to enjoy them without issues. Inspections and maintenance are critical as well, but even if you take good care of your roof, skylight leaks may develop as a result of normal wear and tear. Additionally, much like a poorly installed roof, a skylight that is not placed correctly can lead to skylight leaks throughout the year. To remain watertight, skylights require appropriate flashing and tightly sealed joints. Mounting the skylight’s frame above the roof’s surface and adding a lip can help prevent water problems. Skylight flashing is made of plastic, rubber or (most commonly) metal. 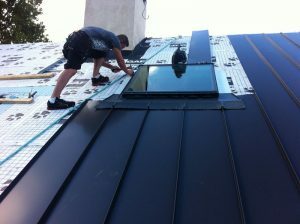 The flashing connects the roof and the skylight together in a waterproof seal. 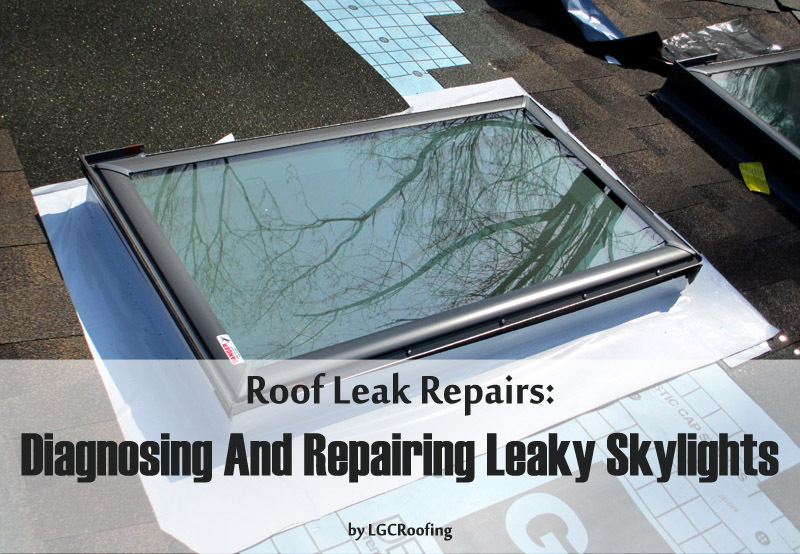 While some homeowners settle for a temporary fix of inserting roof flashing cement around the skylight’s flashing, this is not enough to guard against future leaks during severe storms. Ultimately, flashing should be replaced and resealed by a professional contractor (without voiding your roof warranty). When repairing your skylight leak, we’ll also examine vent flashing and other roof penetrations to ensure that the leak is not traveling to the skylight from another location. If you are having a new roof installed, this is an ideal time to have your skylight inspected for leaks. If you notice a stain at the bottom of your skylight, the problem may be due to excess condensation. Too much condensation in or around the inside of your skylight is another common cause of leaks. Condensation is a natural result of humidity, and often builds up during rain storms. When too much condensation gets trapped in part of a skylight, it may lead to leaks. A thorough inspection by your local roofer is the best way to go. They will check your skylights for potential problems, diagnose the issues and offer solid repair solutions.